For countless years we regret to attend, finally our first ever Christmas Party with Cook Magazine. Got their magazine collections all these years and what I did was to bind it. Yes, an avid reader ever since. I thought it was an early Christmas gathering. It was also a thanksgiving party in honor of the magazine’s sponsors and advertisers which include subscribers, contributors, chefs and friends — everyone who has made Cook what it is today — have all come to partake in an evening of merriment, entertainment and prizes. One of the highlights of the evening was the awarding of all the top advertisers, sponsors and agencies for their continued support of the magazine. This also marks the first year anniversary of the Business Mirror COOK, Saturday Edition, which was put to print in November 2016. This insert comes out every 1st and 3rd Saturday of the month. 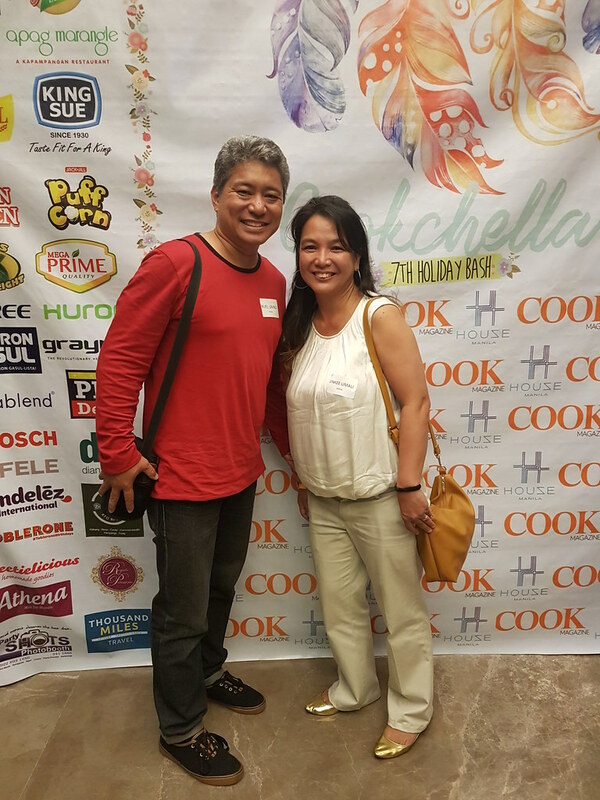 Anthony Cabangon, Publisher of The Business Mirror and COOK Magazine, talked about the magazine’s enduring presence for 17-years and its successful inclusion in the Business Mirror’s fold. Chef Dino Datu, COOK’s Editor-in-Chief, announced that starting next year, there will be an addition to Cook’s chef contributors, specifically in the pastry section. Analiza Badilles, better known as “Motherbee” to her countless followers, will be sharing her recipes and advocacies with Cook’s readers. One of the best things about the holiday bash is that columnists and featured guests have a chance to showcase their food, making it a truly foodie affair. Dessert and Baking columnists Chef Jojo Cuesta Javier and Chef Edward Mateo made their signature cakes and pastries under their labels Sweetielicious Homemade Goodies and Royal Patisserie, respectively. Chef Winston Luna, who runs Chefwix Catering and 8 Tables Restaurant, served Buffalo Chicken in Ranch Dipping Sauce, Corn and Carrot Supreme, Indonesian Pork BBQ Spareribs Fish Fillet in Ranch Dipping Sauce. Aging’s Food Delight delighted us once more with a visual feast at their table as well as the best quality kakanin. Apag Marangle showcased the kind of home-style Kapampangan cooking everyone craves with Nasing Marangle, Kare-kare, Pansit, Chicharon and atchara, Bai’s Boneless Lechon served up scrumptious lechon belly, and of course, a bash wouldn’t be complete without Lydia’s Lechon. Resorts World Manila provided Mini Reuben Sandwich, Char Kway Teo, Buffalo wings, Red Velvet Cake and Mini-Peanut Butter Cup cake while House Manila dished out cocktails and drinks at their open bar. 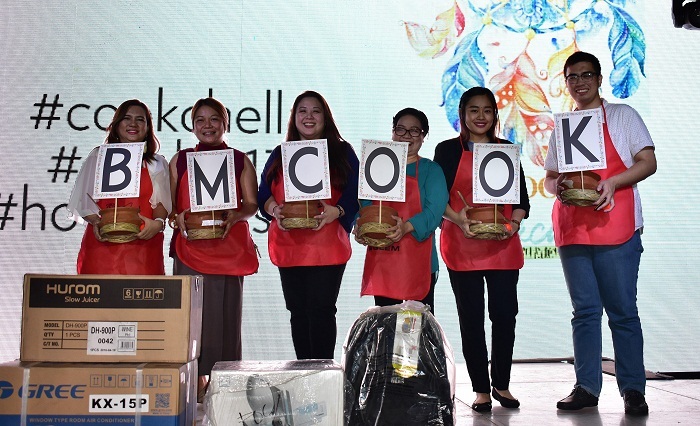 The 7th Holiday Bash gave away loads of prizes such as home appliances, kitchen gadgets, Hotel and Restaurant Buffet GCs. 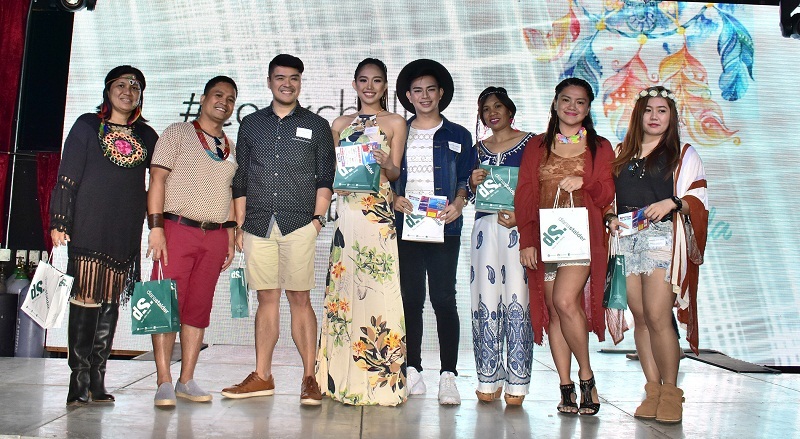 Prizes were also awarded to those who came in their best Coachella inspired outfits and creative social media posts relating to the event. 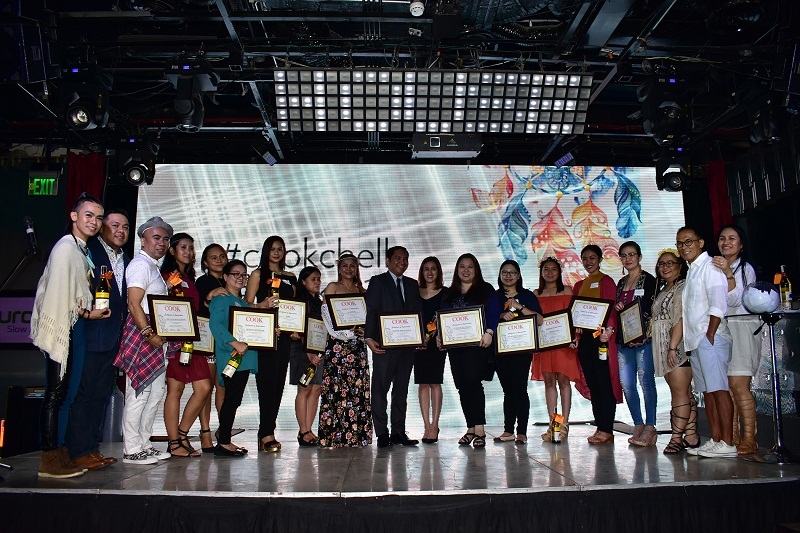 The festivities were held at House Manila in Remington Hotel, Resorts World for the 3rd straight year. Singers Mayda Doryn Chua, soprano Bettina Dadap, and Josh de la Crus provided entertainment. The event was hosted by Advertising Manager Marlon Aldenese with Choi Soriano from Harvest Hotel. 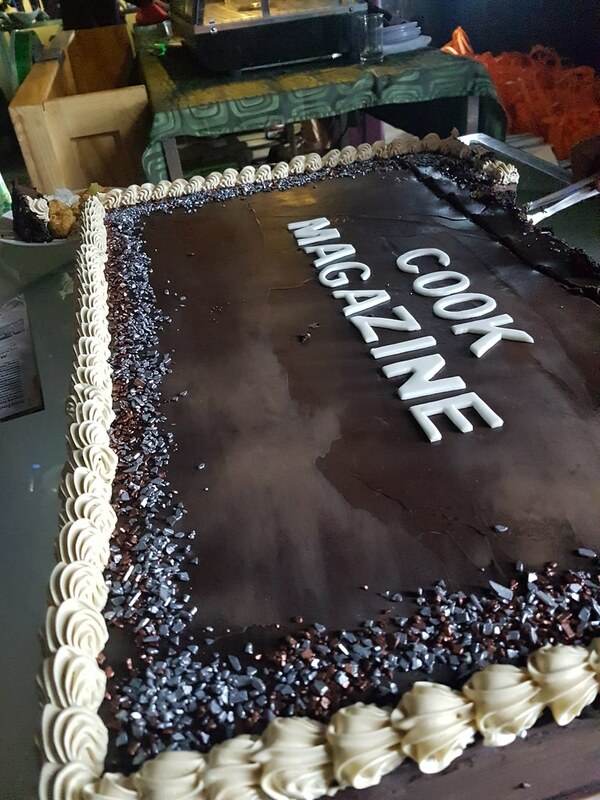 COOK Magazine on its 17th year continues to bring people together through food. AG New World Manila Bay Hotel, Anya Resort Tagaytay, Athena, Boracay Tropics, Bosch, Cadbury Dairy Milk, Café In The Park, Century Park Hotel, Chek Hup, Dermablend, Diana Stalder, Duru, Eastwood Richmonde Hotel, El Real, Enchanted Kingdom, Excellence Appliance Technologies (EXATECH), F1 Hotel Manila, Fitbar, Fujidenzo, Gangnam Wings, Granite Gear, Grayns, Gree, Gullon, Hafele Philippines, Harvest Hotel, Hotel Celeste, Hurom Slow Juicer, Jolly, King Sue,Kitsho, Kraftheinz, La Jeunesse, Luxent Hotel, Makati Diamond Residences, Mama Sita, Marco Polo Ortigas Manila, Mega Prime, Mondelez International, Nissin’s Ramen, Novotel, Hotels, Suites & Resorts, Osaka Takoyaki, Party Shots Photobooth, Petron Gasul, Petron Gasul-Lista, Ph Deli, Photoman, PRC, Jack ‘n Jill Puff Corn, Punta Fuego Hotel, Quaker Oats, Richmonde Hotel Iloilo, Richmonde Hotel Ortigas, Ryoaki Gas Station, San Miguel Corporation, Simple Touch, Tecnogas, The Bellevue Manila, Thousand Miles Travel, Toblerone, Whirlpool Appliances, and Yellow Tail. BUSINESSMIRROR, PHILIPPINES GRAPHIC, LOCALE, HEALTH & FITNESS, WNOT What’s New Out There, DWIZHOME RADIO.